Blade Runner 2049 was clearly a big, complicated project, if only because we’ve heard a lot about the different iterations it went through and the details that were changed late in production. 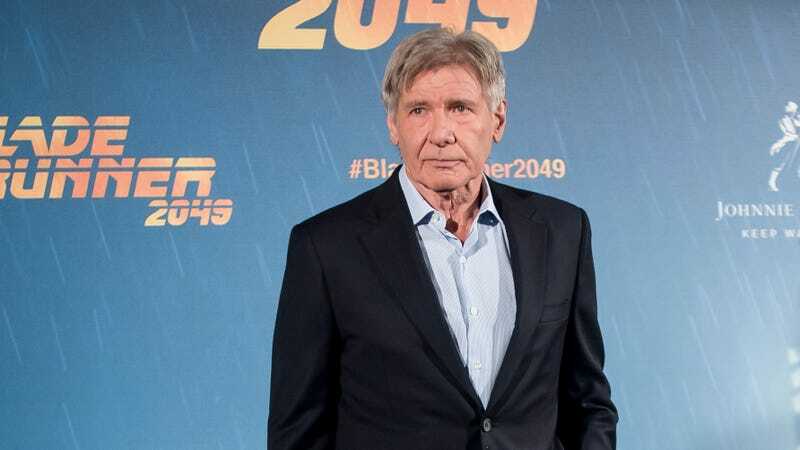 We already heard that it was originally four hours long, though that version was never meant for the public, and now Collider has shared the production diary from producer Cynthia Yorkin, and it includes even more fun facts from behind the scenes of Blade Runner 2049. For one thing, Yorkin had originally pitched a name for the movie that was a lot less cool than Blade Runner 2049, with her diary saying she fought to name it Blade Runner: Time To Live (a reference to Roy Batty’s dying words from the first movie). She liked that it was “poetic” beyond the nod to Batty’s line, referring to how a lot of replicants in the first movie didn’t get a chance to live and how the new movie involved giving them a chance to survive. Yorkin says Sony liked that name, but ultimately went with 2049—which, again, is way cooler. Elsewhere in the diary, Yorkin noted that Ridley Scott didn’t like the technology that the movie used to allow Joi to “walk around” in K’s apartment, which was basically a ceiling-mounted rig with a holographic projector that could follow Ryan Gosling’s character around. He suggested using an internet-based remote that K could carry around, which is what he eventually did use later in the movie. Yorkin also discusses working with Harrison Ford, who apparently had some issues with the script but appreciated the way director Denis Villeneuve could come up with “improved, concise dialogue” on the spot. That came through in the scene where Ford’s character is being taken away by Sylvia Hoeks’ Luv, which was much more talky in the script. Speaking of Ford, the final scene he filmed was his final scene in the movie (when he and Gosling walked to the memory lab in the snow), and Yorkin says everybody got “very emotional” when he finished. She even noted that Ford was “so happy” with “the entire experience,” so his whole curmudgeon shtick is definitely an act.